A unique opportunity for Golf lovers (pro or novices!) to try their hand on the 9 hole golf course complete with bunkers and water hazards. This is a private residence not open to the public thus providing a once in a lifetime opportunity. We have Golfing Pros currently setting up the program to ensure this area of the day is designed for the enjoyment and facilitating of golf. We will have the ultimate Pistol Tin Can Shooting competition! A chance to have the excitement and adrenalin rush of shooting good old country and western style! Each team member will be given a number of shots per person. Points will be tallied and go towards the overall ‘Ultimate Corporate Day Off ‘for the overall team challenge winners, and individual activity winners. Often known as the quiet hunting art, archery is a skill that anyone can master. Here we provide the teams a chance at the Sport of Kings! Each team member will be given a number of shots per person. As in all challenges points will be tallied and go towards the overall ‘Ultimate Corporate Day Off ‘for the overall team challenge winners, and individual activity winners. The private residence hosts a full sized snooker table in a stunning bar lounger area. Guests will have the chance to be upskilled by our Snooker Professional attending on the day. Also in the stunning bar lounger area with the fire roaring there will be a Whiskey Tasting Challenge, an ideal activity for those who have a love for whiskey, or want to learn more. Our whiskey expert will take you through a tiered tasting of some of the best. With bonus points for the team challenge along the way. Te Hihi Estate has opened its doors and kindly donated the use of its exclusive residence for Totara Hospice to host the ‘Ultimate Corporate Day Off’. Exclusivity and extravagance done kiwi style best describes the day. Superb surroundings giving you and your guests a truly unique experience. The day includes three hero activities, points gathered along the way will mean winning teams for each activity, and then the One Major ‘Ultimate Corporate Day Off’ winning team. 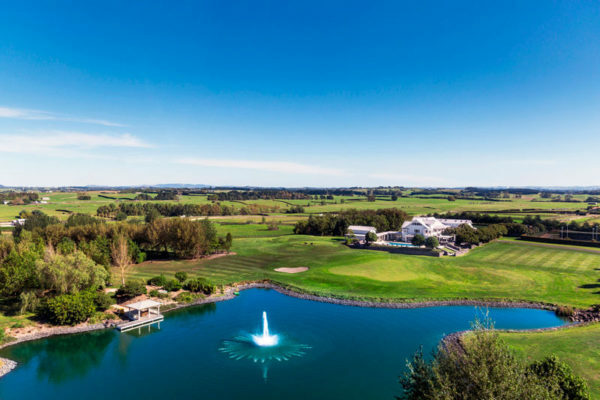 We will be welcoming sixty discerning guests arriving in teams of four to this glamorous venue set on 92 acres of immaculately maintained grounds only 30 minutes from Auckland airport.